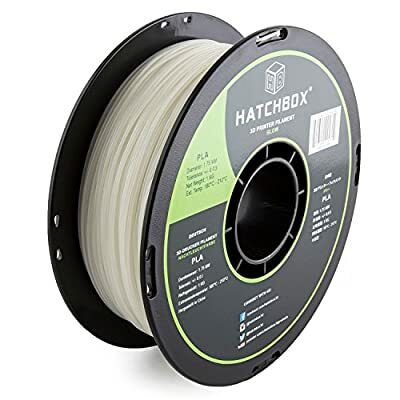 I’m looking to get some Glow in the Dark filament. Does anyone have any good experiene and recommendations of which brand works well with the Flux? Thanks. I’ve used glowing filament from several different manufacturers, but only on my machines that print at higher temperatures. I’m not sure if glowing filament would work in the Flux without skipping or not. Regardless of the temperature bit, the phosphors in glowing filament are abrasive, and you can bore out your printing nozzle. It’s not nearly as bad as the carbon fiber filled plastics or anything like that, but over time you will enlarge the orifice. I’ve used this with great success. Good Luck! I’m on my second roll of the Hatchbox glow-in-the-dark filament. It works really well. Thanks! Going to order some now. Straight off Amazon. But to be honest in my experience there not worth it for the price. 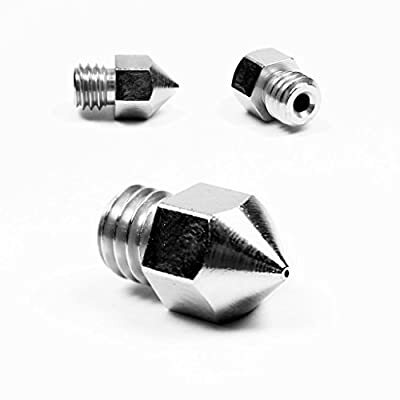 A harden nozzle would last longer as this nozzle is still made out of brass but with a plated coating.